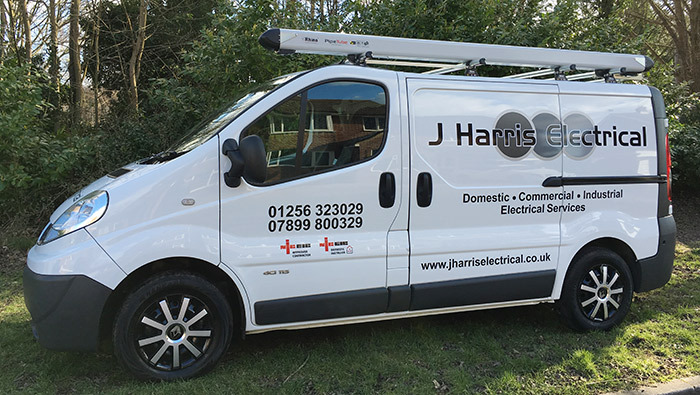 J Harris Electrical is a small business based in Basingstoke, Hampshire that offers a full range of electrical services for domestic, commercial and industrial customers. The business covers the immediate and local surrounding areas including Hampshire, Berkshire and Surrey. A registered NICEIC approved contractor, which will give you the added assurance that all your domestic, commercial or industrial electrical installation work will be to the highest standard, fully insured and carried out to meet the current Electrical Regulations. We have a galley kitchen, which has always been on the dark side. John came along, assessed the situation, recommended and fitted led lights and our problem was solved. We would not hesitate to recommend John Harris, as a first class electrician. After having a few electricians let us down in the past, we always had trouble finding a decent one. We was told about John through a friend of a friend and have never looked back. John is very polite, professional and tidy. J Harris Electrical are my first point of call for any electrical job around the home. They are reliable, come when they say they will and do a great job every time. I would recommend them every time for jobs large and small. As a result of J Harris Electrical having provided excellent quality and efficient service we now regard them as our "House" Electricians. Thank you John for the work you did for the new lighting and electric fencing for our livery stables. Good Job! Thank you John for fixing our lighting problems both exterior and interior. Also the heating wiring issues. Excellent service.